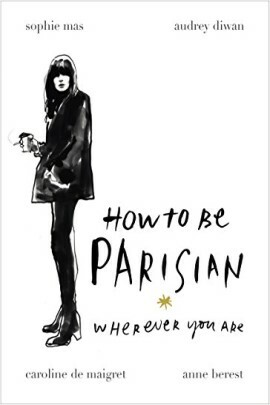 From four stunning and accomplished French women, a fresh and spirited take on what it really means to be a Parisienne: how they dress, entertain, have fun and attempt to behave themselves. In short, frisky sections, these Parisian women give you their very original views on style, beauty, culture, attitude and men. The authors – Anne Berest, Audrey Diwan, Caroline de Maigret, and Sophie Mas – have been friends for years. Talented bohemian iconoclasts with careers in the worlds of music, film, fashion, and publishing, they are atypically frank and outspoken as they debunk the myths about what it means to be a French woman today. Letting you in on their secrets and flaws, they also make fun of their complicated, often contradictory feelings and behavior. They admit to being snobs, a bit self-centered, unpredictable but not unreliable. Bossy and opinionated, they are also tender and romantic. How to Be Parisian Wherever You Are will make you laugh as you slip into their shoes to become bold and free and tap into your inner cool.